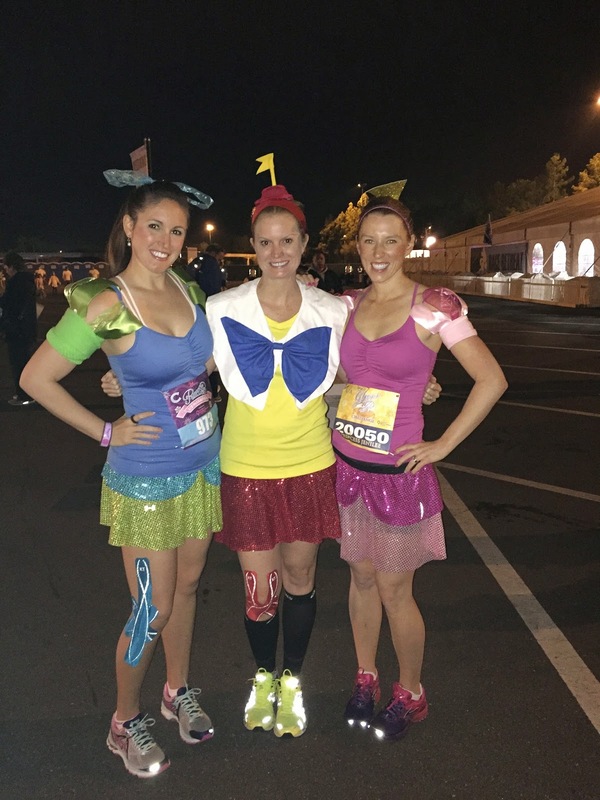 I spent last Sunday running the runDisney Princess Half Marathon, my 12th half marathon! I ran this epic race with my best running buddy Nicole, who I ran my very first 5K with three years ago. I couldn't think of a better way to spend our three year running anniversary than going back to where it all started. I woke up earlier than normal so I could take advantage of the runner concierge and transportation provided Marathon Weekends at Hilton Bonnet Creek. I grabbed a cup of coffee, a bagel with peanut butter and made my way onto the bus. We left Bonnet Creek at 3:30 and got to Epcot shortly before 4:00am. We then made our way to the start line. Although I was exhausted from no sleep the night before, I was feeling pretty good. Nicole forgot to put in her proof of time, so we started in Coral L. More on that in a minute. 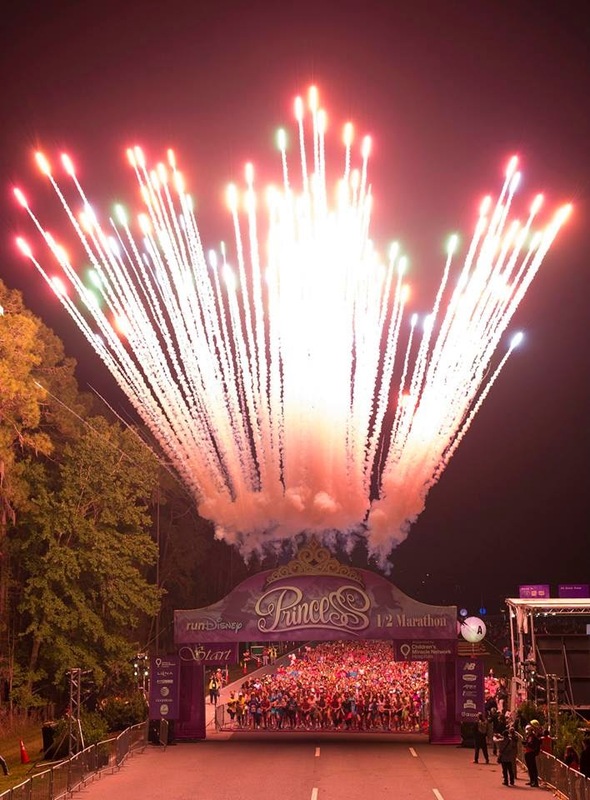 While we were waiting for the race to start, an official announcement was made by runDisney. 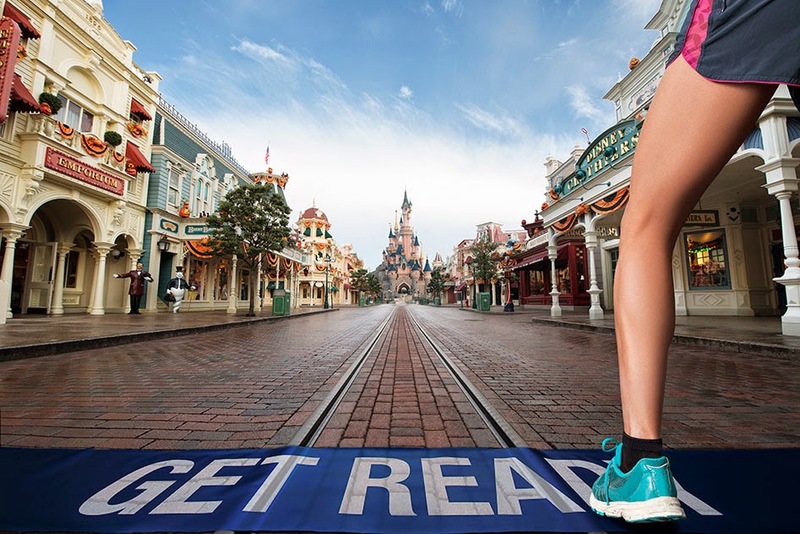 In 2016, runDisney is having their first ever international race - at Disneyland Paris. Oh but wait for it.....this epic race will fall on our two year wedding anniversary weekend (September 23-25, 2016)!!! I didn't even have to beg....Gabe told me when registration opens, I can register and we will go back to Paris! Back to present day.....the not so great thing about starting in Coral L is that you will find yourself weaving in and out of people the entire time. It was pretty rough. Also, lines for photos were the worst I have ever seen. We ran when we could (which was almost never) and walked when we we had to (which was nearly the whole time). 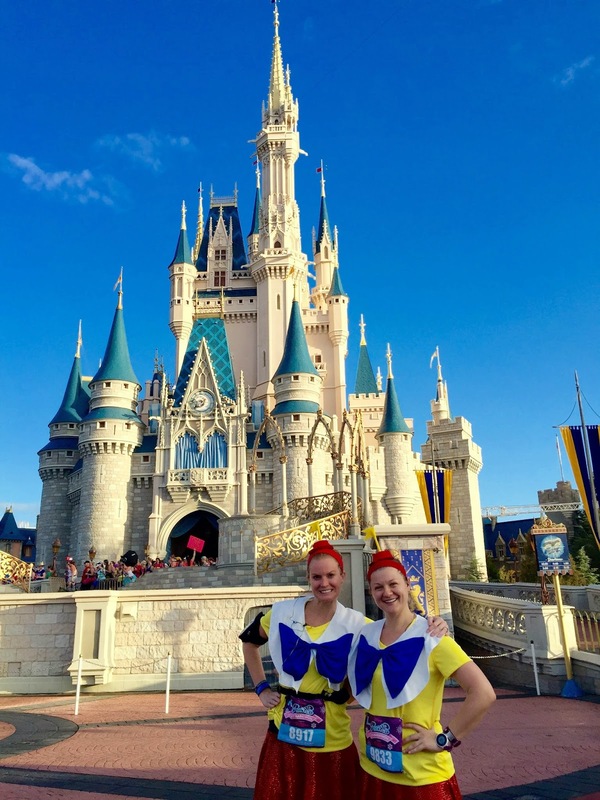 We took our obligatory photo at the park entrance and weaved our way into Magic Kingdom. As I mentioned above, the lines for photos were ridiculous. Prior to getting into the park, the lines for Captain Jack, the Princes and the Evil Queens had to be about 20 minutes each. 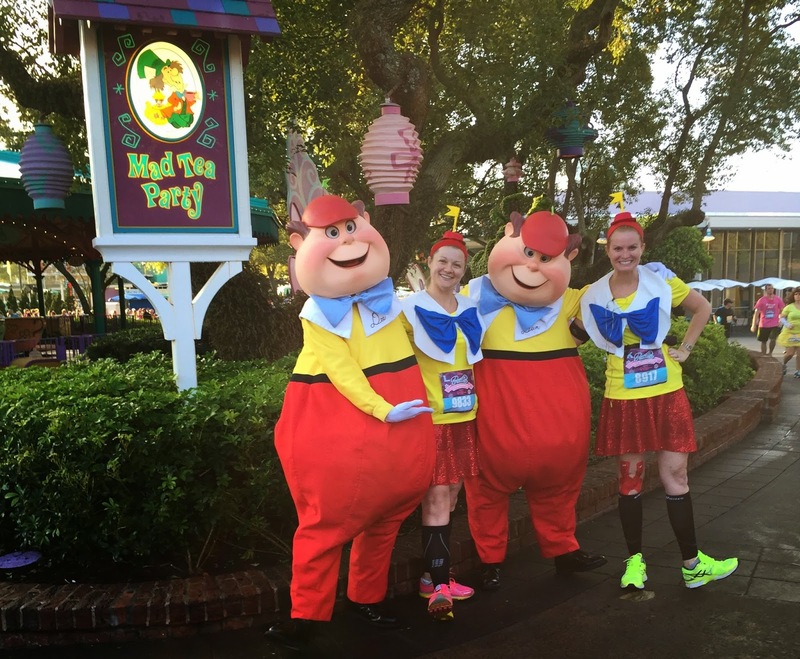 We agreed not to wait in long lines for any photos other than Tweedle Dee and Tweedle Dum, if they were out. However, this castle shot is always a must and luckily, there were only 5 people in front of us. 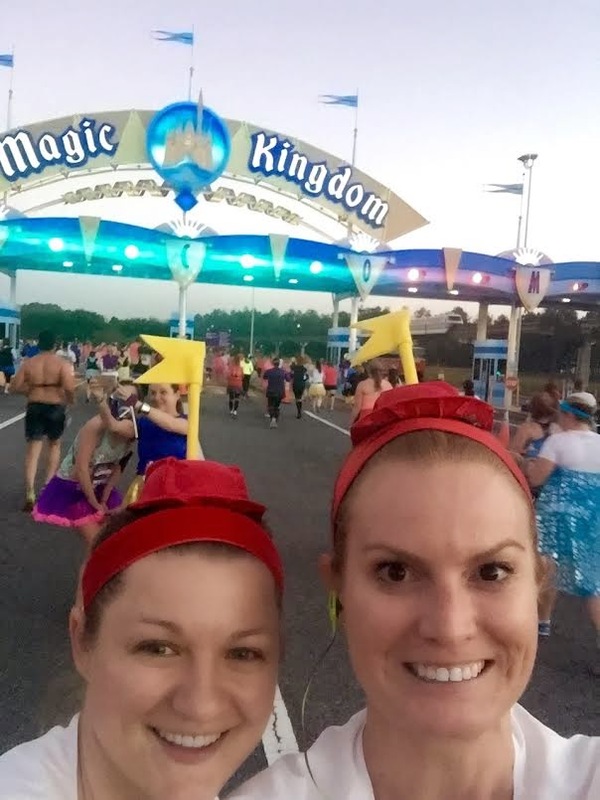 Nicole and I know the character spots by heart at runDisney races. When we got to the front of the tea cups, none of the Alice characters were to be found. Bummed out, we turned the corner and I saw a sea of red and yellow. We were so happy but not as happy as these two were when they saw us! The cast member taking the photos literally took 100 of this, and the Tweedles were making quite the scene! Just like during the Marathon last month, Anna, Elsa and Hans were on the top of the castle. On the other side of the castle, there was a photographer for the Disney blog, where they had you jump and take an action shot. I am not sure if they will post every photo but I hope we get to see ours. We are suckers for the castle photo and I was very pleased with how this one turned out. This was the last photo we took inside of the Magic Kingdom. One photo I have always wanted to get was at the Golf Courses. In the past, I have seen Golfer Goofey, Golfer Mickey and Golfer Donald. I have never seen Vacation Genie and the line wasn't too long so we went ahead and got this pic. Right after this pic is when I convinced Nicole to do a 30/30 run walk ratio. Since we couldn't run for long due to the crowds, this actually worked very well for our situation. When we got into Epcot, the line for the Fairy Godmother was pretty short and we decided to grab a pic with her! Even at this point with less than a mile to go, we were both feeling pretty good. I may try this 30/30 thing at DC in 2 weeks! This photo with Mickey Mouse is pretty epic if I do say so myself. Note - in the photo with Minnie, Nicole's mouth was open and the one w/ Mickey, my mouth was open. We crossed the finish line, got a glass of Moet and at that very moment, it got hot outside. We had perfect weather for our race. If we crossed that finish line a few minutes later, it would have been brutally hot. I am blessed that Nicole and I have been there to push each other over the past three years. If it weren't for that holiday party in 2011, none of this would have ever been possible. Funny to even think that only three years ago, you could buy an entry to a runDisney race, one month prior to the event. That would NEVER happen this day in age!